CHARGES against a Tweed Heads man police believed to be the Sergeant at Arms of the Lone Wolf motorcycle gang were dismissed today with no evidence to prove he assaulted a rival Rebel gang member at a block of Tweed Heads West units in 2015. Dressed smartly in a collared shirt and supported in the public gallery by a friend, Mark Clinton Atta-Singh appeared solemn as his defence lawyer Carl Edwards entered a not guilty plea for his client at Tweed Heads Local Court. Police alleged the 39-year-old was linked to the bashing of a man with a metal garden chair at a block of Tweed Heads West units on July 21, 2015. A brief of evidence tendered to court showed one witness to the bloody ordeal had since died and a car bearing number plates linked to the incident with photographic evidence was subsequently destroyed by fire. The victim of the assault refused to make a complaint to police at the Tweed Hospital where he was treated for injuries, including six stitches to his scalp, while another a key witness subpoenaed to appear in court today did not turn up. Prosecutor Brett Gradisnik said DNA evidence linked Mr Atta-Singh to the metal chair, showing he was 100 billion times more likely than another member of the public to have come in contact with it. But the timing of contact, or a link to any attack, could not be made. “There is certainly no other evidence that prosecution could use for the standard of proof, beyond a reasonable doubt, to force the prosecution,” Mr Gradisnik said. 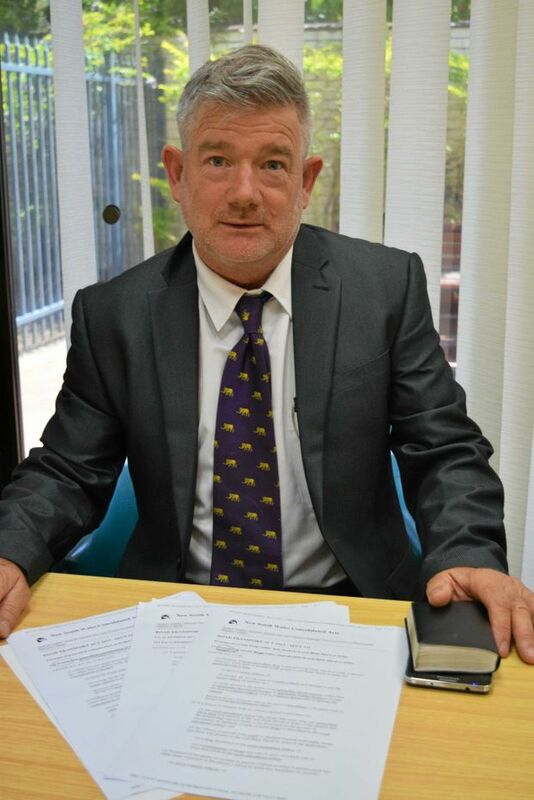 Magistrate Jeff Linden described the incident as “very nasty” as he dropped the charges, including assault occasioning bodily harm; being armed with a “metal garden chair” with intent, causing affray and damaging property. “The victim for this matter was totally uncooperative, providing no information whatsoever,” Magistrate Linden said. “Police put a huge effort into investigating this matter. “What police found was DNA evidence from one of the chairs which was apparently used and if they found finger prints that would probably get it to prima facie. Court documents tendered by police refusing Mr Atta-Singh bail when he was arrested on March 18, 2016, claimed the man was the leader of the Lone Wolf gang and the victim a Rebels’ gang member. Police were concerned the incident would lead to further rivalry between the two gangs in the Tweed region, saying the assault was “clearly retribution” for another undisclosed incident. “The related offence is one of violence and premeditated, and most likely to cause further conflicts with rival OMCG Rebels,” detectives wrote in the court documents. Police stated in the documents there were current conflicts between the Lone Wolf and the Rebels OMCG gangs as a result of the incident, but Mr Atta-Singh denied any OMCG links. His solicitor, Mr Edwards, told the Tweed Daily News his client rode motorcycles but was not a member of any outlawed motorcycle gang. He said today’s dismissal of charges “was expected” because DNA evidence by itself was not sufficient to prosecute. “As the magistrate said, there was a lot of police resources that went towards this, at the end of the day, nil result,” Mr Edwards said. Mr Atta-Singh declined to comment.